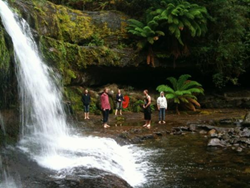 This will be the 4th concert in Takadimi's New Year Tour from Newtown, NSW all the way up to Byron Bay in January 2013. Playing a meditation-inspired show at the Shanti Mission Harmony Centre, Newcastle, be prepared to shut your eyes and let the universally understood language of music do the work. 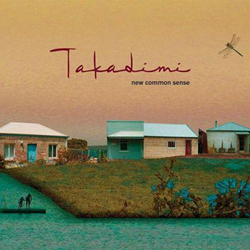 Takadimi joined forces when they met in Sydney at university, in 2007, emerging into the musical cosmos with their debut performance at the National Folk Festival, Canberra (’09), where they created an immediate impression. With a world of styles at their disposal, inspired by the possibilities of a well integrated, multi-cultural society in Australia today, Takadimi exert a genuine obsession for the possibilities within genres and their indefinite boundaries. 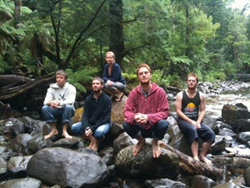 The group bring you into their worlds through inventive improvisations and evocative soundscapes. Since the album release they have played at a wide variety of venues and festivals throughout NSW including a live to air for Eastside Radio at Venue 505, the Gaelic Club and the Occupy Sydney Anniversary in Martin Place.